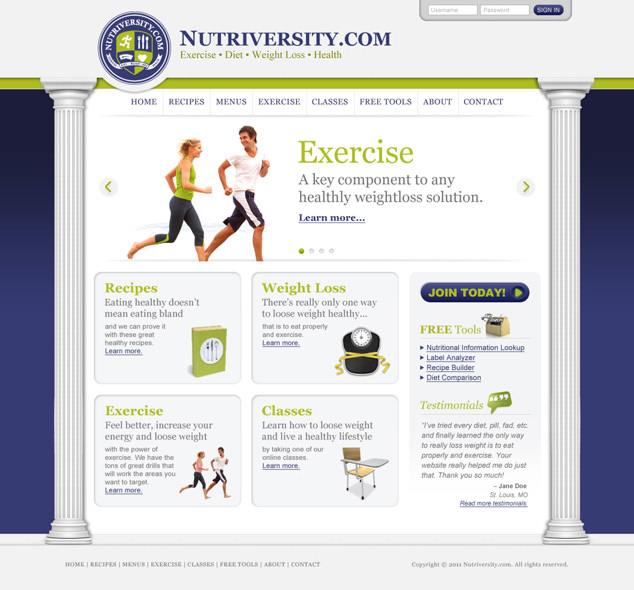 Visual Lure was recently contracted to design a website for Nutriversity, a website that educates its users about exercise, diet/nutrition, weight loss and overall good health. 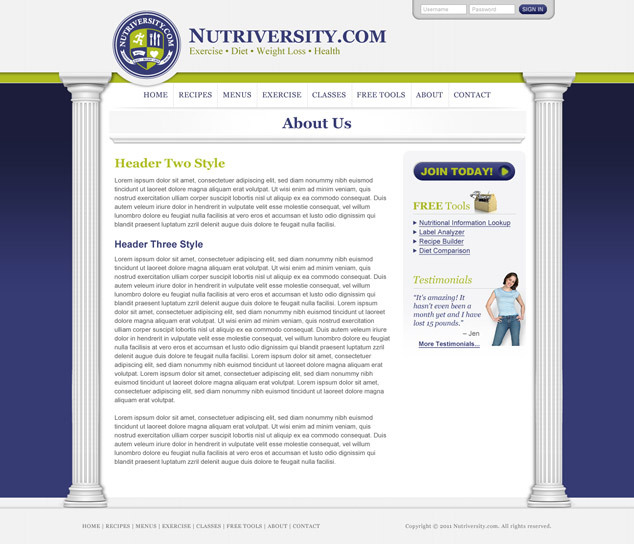 It provides recipes, classes, exercise tips and more, including free tools such as: a nutritional information lookup, a label analyzer, a recipe builder and a diet comparison application. Below is a sneak peek at our proposed design options. Check back soon for when the new website goes live.